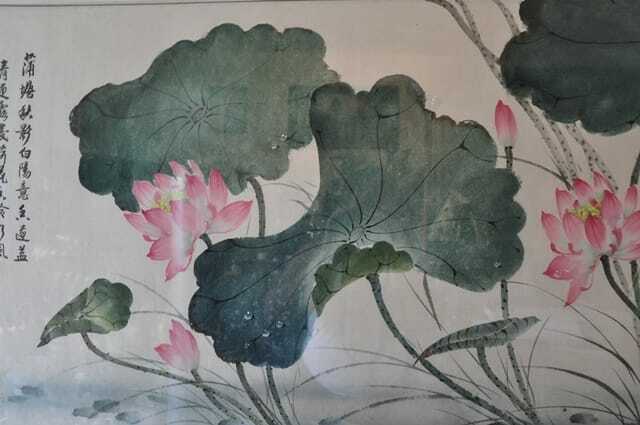 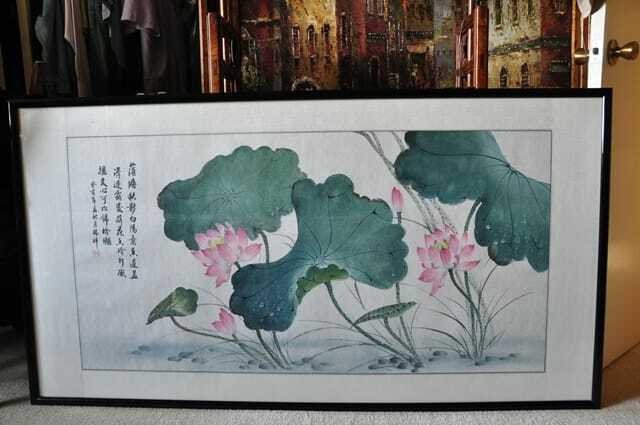 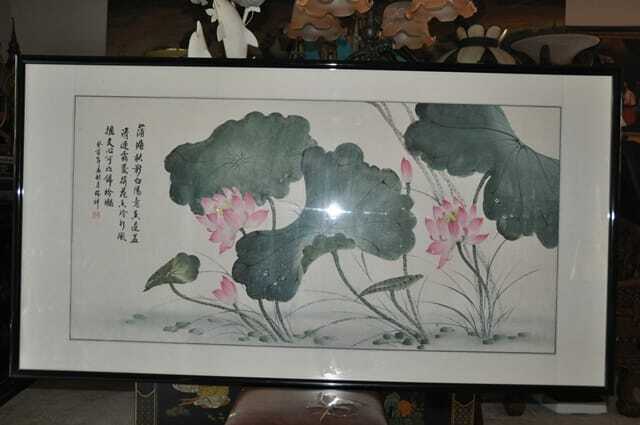 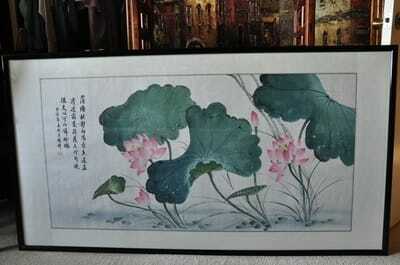 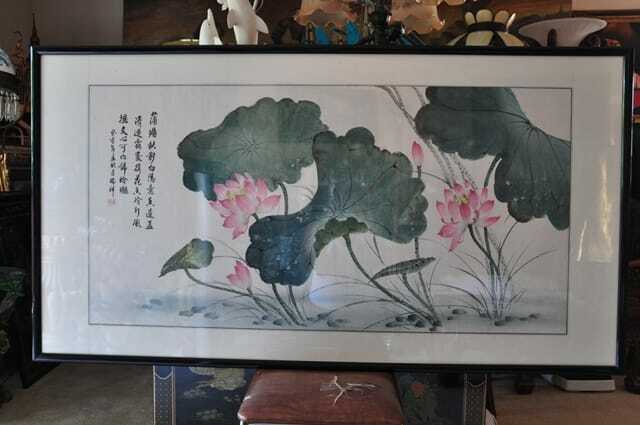 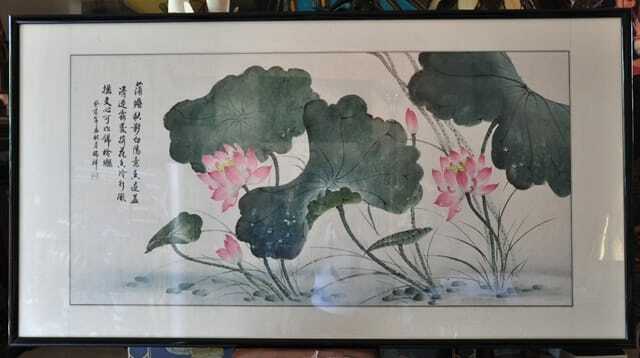 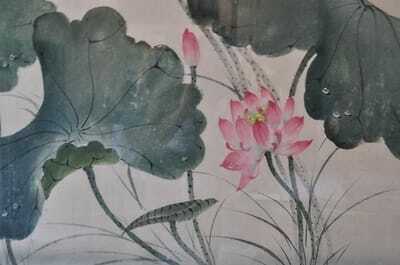 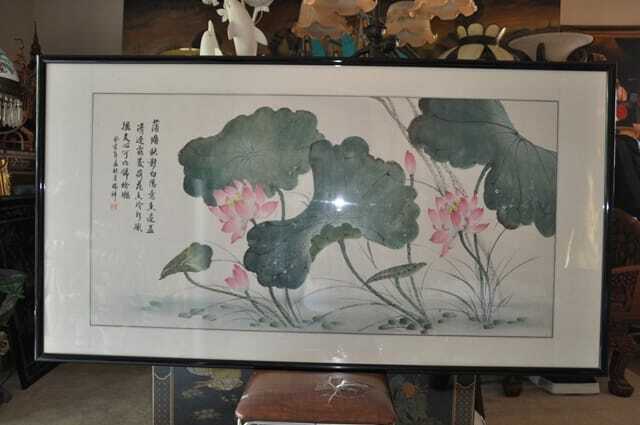 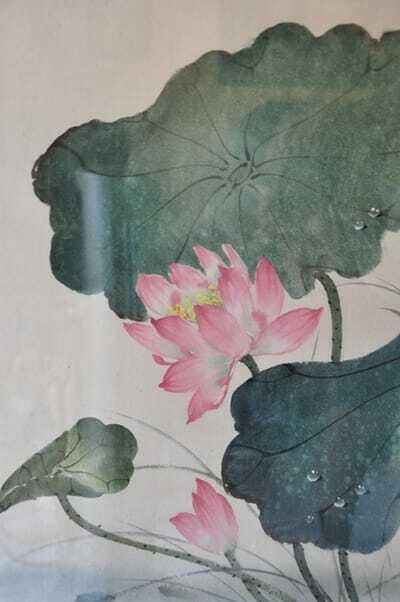 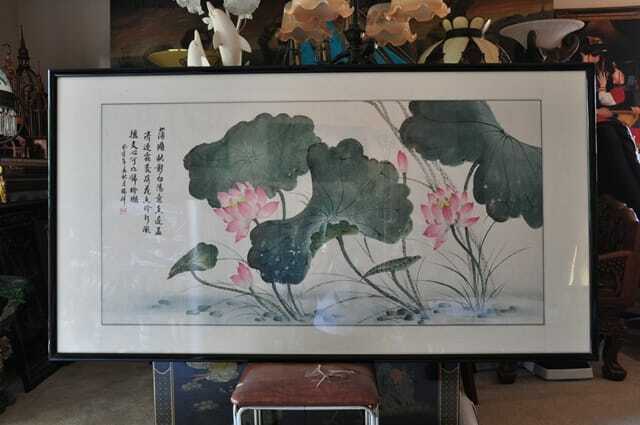 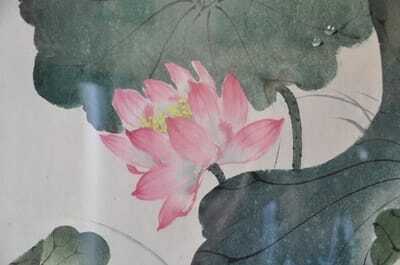 This is a vintage Chinese style watercolor painting of beautiful pink lotus flowers and green leaves on rice paper. 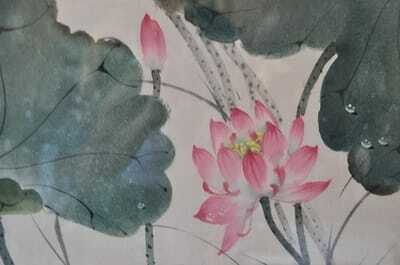 The scene creates a peaceful environment in the room. 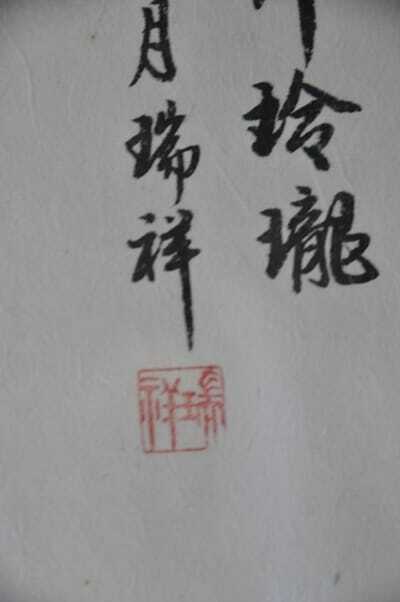 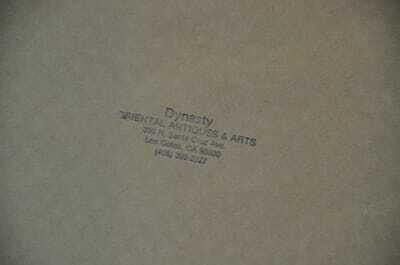 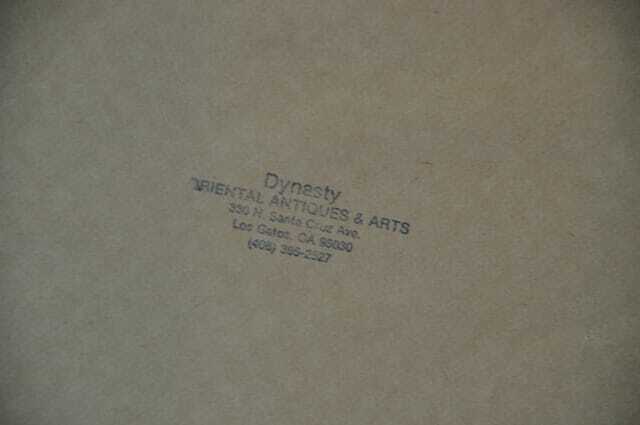 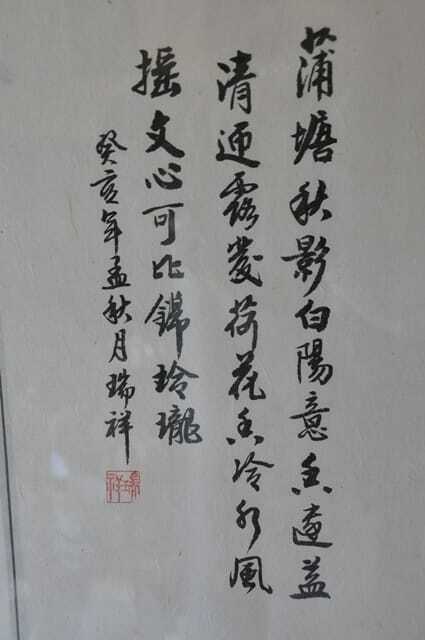 This painting was bought in Taiwan and brought to the United States in the early 1980's. 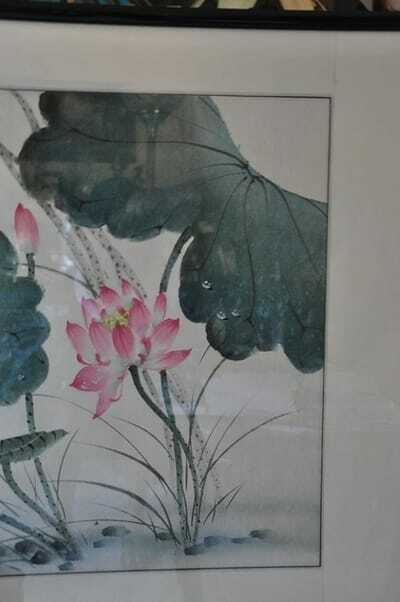 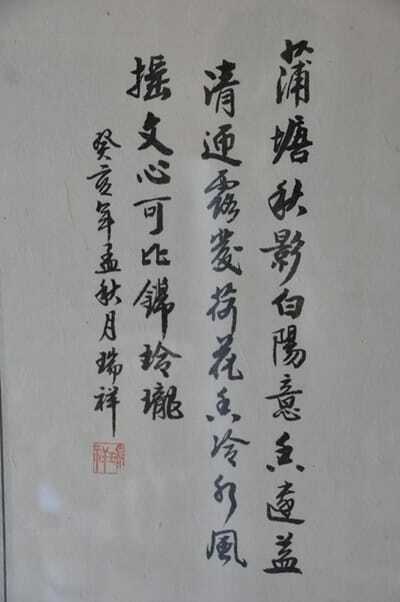 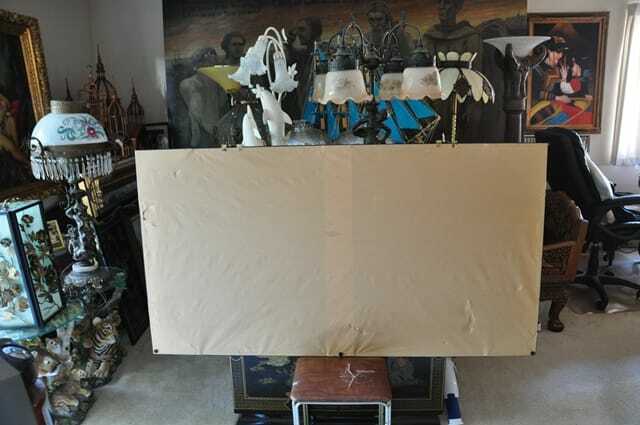 The artist's signature mark and some annotations are present on the painting.It has been framed in a large 61"x33" framewith silk border around the painting. There are 2 metal hangers attached to the frame top for wall hanging.